In our quest to provide exclusive high-performance eco-built freeride shapes, for 2020 we introduce two new models: the Marauder (154) and the Leviathan (164). Moreover, our award-winning Drakkar is undergoing a shape update. Offered in one size only (154), the Marauder has an extra-wide and super progressive blunt-shaped nose, large sidecut radius, cleverly-engineered tail and really cool nature-inspired graphics based on the tiger shark’s colours and naturally-occurring skin pattern. 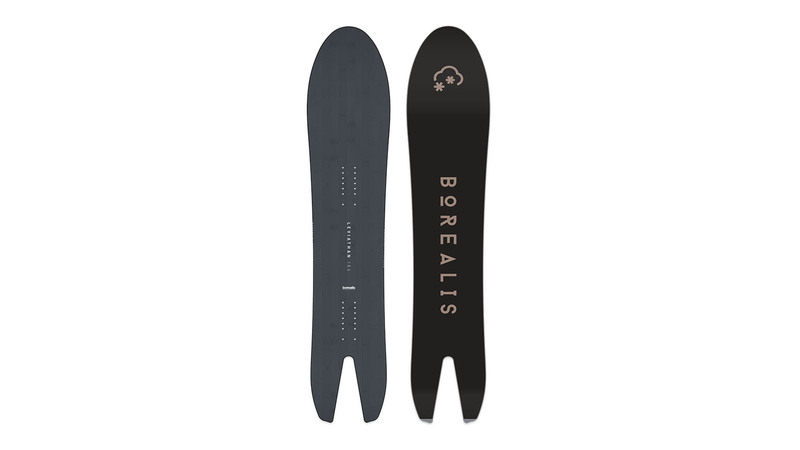 Ideal for quick turns and flawless glide in deep forests but also solid carving on piste and stiffer conditions. A unique shape, for a unique feel. The first thing that comes to our minds when looking at the new Leviathan is “wow, that looks ***king sick!”. Available as a 164 and positioned on the high-end side of our collection, the Leviathan is the result of extensive research in terms of shape but also materials. This is snowsurf 2.0. With a massive progressive nose rocker, camber towards the back binding and mild rocker under the tail, it’s the perfect blend for amazing float and solid edge hold on stiffer snow. Built at our special elite factory, this true gem is all about minimalism and efficiency, a work of art for drawing perfect lines deep in the heart of the mountain. Our best-seller and award-winning Tundra is back with a vengeance. It now comes equipped with our new UL Forest Core (poplar, paulownia and bamboo) and is ornamented with mind-blowing new graphics by acclaimed artist Jake Scarlattino. 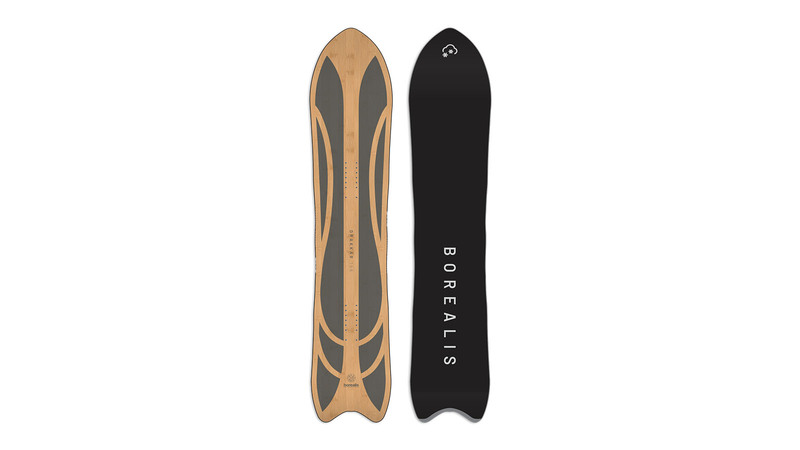 This 2020 finely-tweaked version is the result of years of testing by our team riders, feedback from shop owners, snowboard magazine professionals and Borealis snowboards happy owners. Lighter, snappier and more dynamic in every sense, this vintage board or “grand cru” reaches near perfection. This year, we implement our new UL Forest Core on more models. This new wood core is made of ultra-light poplar, paulownia and bamboo. But what makes our boards special is how thin and strong our cores are, making them very light and lively. We also introduce new Liquid Walls on our Leviathan model. This shock-absorbent sidewall is poured directly into the core in its liquid form before solidifying and creating an impenetrable and rock-solid barrier, protecting the board from rocks and other obstacles. Our award-winning Drakkar, inspired by Norse longships, sees a drastic change in its shape and gets upgraded with our new Nano Ultima Speed Base (highest grade of race bases on the market). Finally, our new kids model, the Big Surf, will carry a beautiful ash wood veneer topsheet treated with our Permafrost Technology. Most of our boards are made at Meditec in Tunisia, which has 25 years experience in making award-winning boards and some models are made by GP87 in China. Both are very good factories in terms of detail, quality and extremely low rate of warranty claims. All segments of our range sell well but boards under 500 Euros sell more. Borealis is all about crazy funky shapes. I think it’s what makes fun winter activity so interesting these days. As long as there will be passionate designers and riders out there, possibilities are endless. Nature-inspired graphics, minimalist and efficient designs. Snowsurf collection expanding, new Koi Split.